Reception reports are welcomed and will be confirmed with a QSL card. c/o Kulturzentrum Lola, 21031 Hamburg, Germany. 0000-0200 on 7570 YFR 100 kW / 315 deg to WNAm, instead of Brother Stair. 1600-1700 on October 3-5/10-12 in AM mode & October 17/18 in DRM mode. Frequency on test broadcasts will be published soon, tentative 11665. The broadcasts will continue at least through the end of 2014. 1300-1400 on 17830 MEY 250 kW / 032 deg to EaAf Somali Sat "Premier League"
1300-1400 on 21470 DHA 250 kW / 205 deg to EaAf Somali Sat "Premier League"
1330-1600 on 17780 ASC 250 kW / 065 deg to WeAf Hausa  Sat "Premier League"
1400-1500 on 17830 MEY 250 kW / 032 deg to EaAf Somali Sat "Premier League"
1400-1500 on 21470 DHA 250 kW / 225 deg to EaAf Somali Sat "Premier League"
North America, but will also be intended for listeners in Japan and China. on September 21: 1000-1100 on 15415 to West Europe, probably via Wooferton. Will be relay programs of Irish Radio-Raidio na Gaeltachta. BUT no signal!! Here's a quick shortwave bandscan from a few hours ago I made with my portable shortwave receiver. It shows that the shortwave bands are still very busy, especially at the prime time hours in Asia. Conclusion: Shortwave is still alive and going strong! 2315-2330 on 11580 YFR 100 kW / 044 deg to WeEu English Sun European News Network. 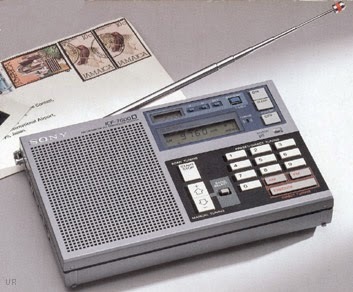 In Africa, where many Irish people live and work, often in relative isolation with poor communications, RTÉ is providing special transmissions on shortwave radio. 2200-2300 on 15190 YFR 100 kW / 087 deg to NCAf English Radio Africa Netw. 2300-2315 on 11580 YFR 100 kW / 044 deg to WeEu English Sat Echo of Europe, tent. 2315-2330 on 11580 YFR 100 kW / 044 deg to WeEu English Sat European News Net, tent. 2300-2315 on 11580 YFR 100 kW / 044 deg to WeEu English Sun Echo of Europe, tent. 2315-2330 on 11580 YFR 100 kW / 044 deg to WeEu English Sun European News Net, tent. 2300-2315 on 11580 YFR 100 kW / 044 deg to WeEu English Mon Echo of Europe, tent. 2315-2330 on 11580 YFR 100 kW / 044 deg to WeEu English Mon European News Net, tent. 2300-2315 on 11580 YFR 100 kW / 044 deg to WeEu English Tue Echo of Europe, tent. 2315-2330 on 11580 YFR 100 kW / 044 deg to WeEu English Tue European News Net, tent. Wherever you are in the world this weekend, you can follow all the action in this year’s All-Ireland Hurling Final with RTÉ Sport. Sunday Sport on RTÉ Radio 1 will be live from 2pm for coverage of the All-Ireland final. *A specially extended programme on RTÉ Radio 1 Extra on Longwave will be live from 1300 for full commentary on the All-Ireland minor final (throw-in 1315). RTÉ Raidió na Gaeltachta will also have match coverage on the big day on Spórt on Lae from 1315 and will have further reaction on Spórt an Domhnaigh from 1900. All radio streams will be available worldwide on RTÉ.ie. Ireland: At home, audiences can listen as usual to the GAA finals on RTÉ Radio 1 FM, DAB, RTÉ.ie and on Longwave 252. Britain: Across most of Britain, listeners can receive our coverage on Long Wave 252. In addition RTÉ Radio 1 is available on the UK free to air satellite platform Freesat on channel 750.